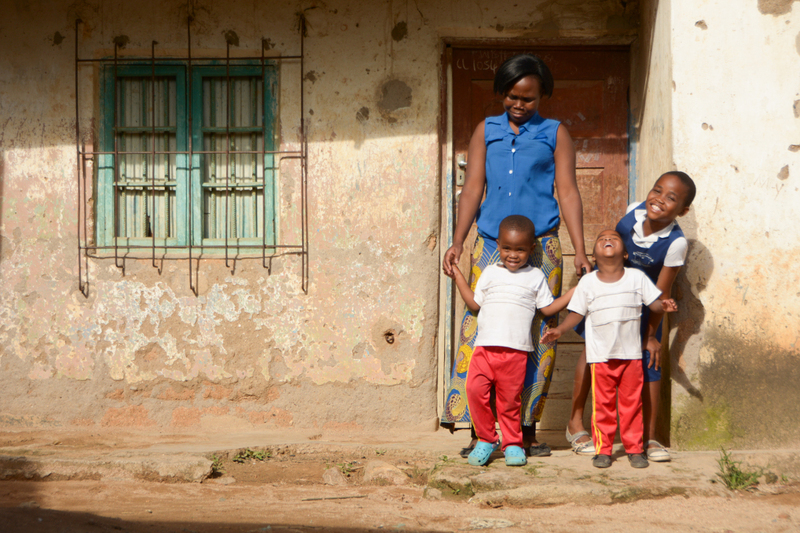 Meet Jazeera, a 27-year-old single mother of three. She lives in the heavily populated township of Ndirande in the city of Blantyre, Malawi. 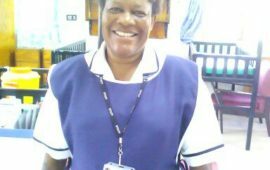 Jazeera describes herself as a strong, courageous woman who doesn’t give up easily – traits that served her well when two of her children became sick with typhoid the same month. Jazeera and her children stand outside their home in the southern township of Ndirande in Malawi. In October 2017, Jazeera’s ten-year-old daughter, Atupele, started feeling feverish with persistent severe headaches and a loss of appetite. Jazeera’s first thought was that Atupele might have malaria, given her symptoms. When Jazeera took Atupele to the local hospital, however, her malaria test was negative. After the test came back negative, Jazeera was even more concerned. She had hoped the hospital would be able to determine what was causing her daughter’s illness. “It hurt that even after visiting the hospital, I could not know what was wrong with my child,” she said. With no diagnosis and effective treatment, Atupele continued to suffer. She had always dreamed of becoming a lawyer when she grew up, but she felt that dream slipping away as her illness caused her to miss three consecutive weeks of school and perform poorly in end-of-term exams. With a negative malaria test and no improvement in Atupele’s health, Jazeera anxiously waited for results of an additional blood sample test ordered by the doctor. But while waiting for the results, Jazeera’s three-year-old son, Noordin, came down with the same symptoms as his sister. Suddenly, Jazeera had two sick children at home needing her constant care. Jazeera finally found an answer when both of her children’s blood tests came back positive for typhoid. She finally knew what was wrong with her children and they could now be properly treated. 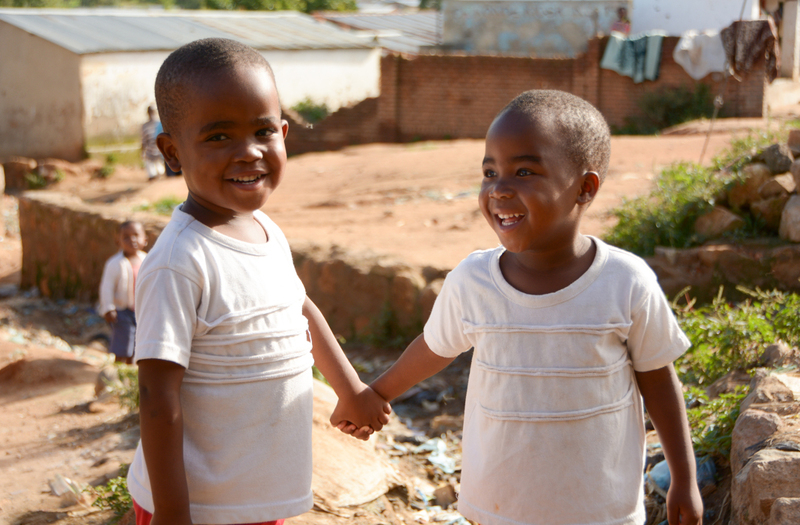 Three-year-old twins Noordin (left) and Noornisa James (right) smile outside their home in the southern town of Ndirande in Malawi. 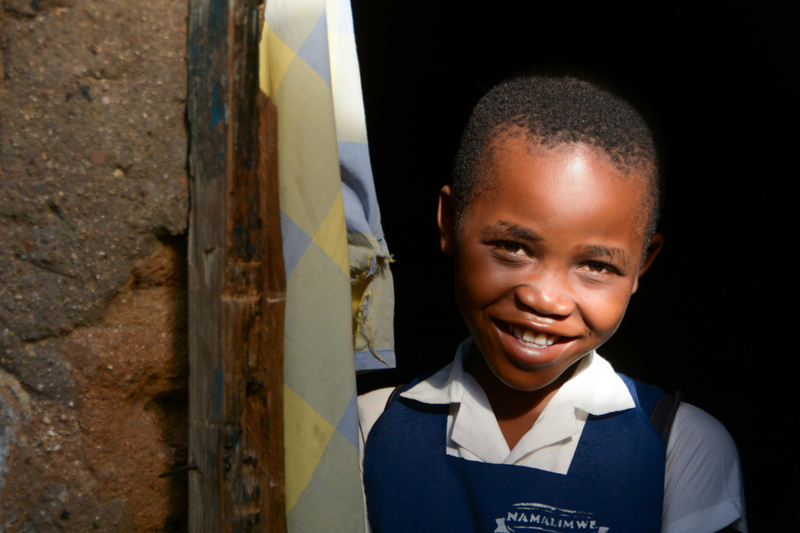 Noordin is one of the many Malawian children who have fallen ill with typhoid fever. Atupele’s and Noordin’s experience is common in many typhoid-endemic countries in Africa and Asia. 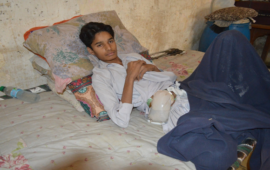 Typhoid disproportionately impacts young children and adolescents. As a result, the bacterial disease can greatly disrupt a child’s education. Additionally, as malaria and typhoid share similar symptoms, health providers often misdiagnose the two diseases with one another. 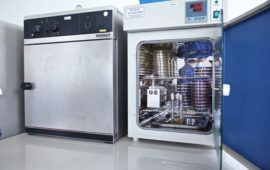 This can delay proper diagnosis and treatment, which can then increase the risk of complications and contribute to drug resistance. Although a misdiagnosis delayed their treatment, Atupele and Noordin were lucky that they were able to get the proper treatment and fully recover. Typhoid takes more than 128,000 lives every year in endemic countries such as Malawi. There are ways to prevent children from sharing Atuplele’s and Noordin’s experience. There are vaccines that provide protection against typhoid. If Atuplele and Noordin had access to such vaccines, they could have been protected against illness in the first place, but those typhoid vaccines are not utilized widely. Once they were sick, the development of a more cost-effective rapid diagnostic test could have sped up access to appropriate treatment and gotten the children back to school faster. 10-year-old Atupele smiles as she prepares to leave her home for school in the southern town of Ndirande in Malawi. 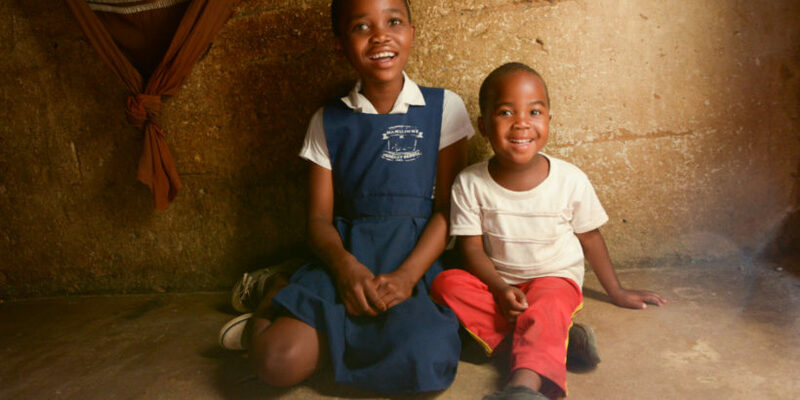 There is hope for future children in Malawi. 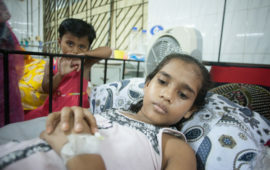 The new typhoid conjugate vaccine provides more effective and longer-lasting protection than previous typhoid vaccines. It isn’t available yet to the people who need it most, such as Jazeera and her children, but it might soon be. Gavi, the Vaccine Alliance, has allocated funding to support countries in their efforts to introduce typhoid conjugate vaccines. The governments of several African and Asian countries are working toward introduction to save lives and prevent suffering. Photos and reporting by Thoko Chikondi/Sabin Vaccine Institute. This post is part of Stories of Typhoid, a series sharing the impact of typhoid on families in endemic countries.